The existing Stamps website was dated and needed modernizing. There was a good amount of content, but the site wasn't responsive and it was not inviting for visitors. The new site was a modern, full-width design with an updated architecture. 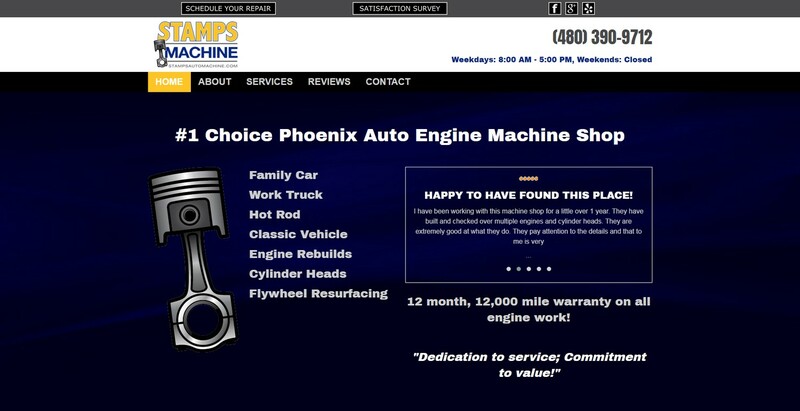 We added a repair scheduling form as well as a customer satisfaction survey for more engagement.